Americans comprise only 4.4% of the world’s population, but own 42% of the world’s guns (about 300 million). This means we have slightly less than one gun for every citizen – and the U.S. tops the list for gun death percentages. More than 38,000 people died from gunshot wounds in 2016 (no statistics are available yet for 2017 or 2018) and over 30,000 annually since 2012. To put it in perspective, you can sit back and expect a shooting death about every 15 minutes. Put another way, there are 88.8 guns in the U.S. for every 100 Americans. When it comes to developed countries like Canada, Italy, Sweden, Switzerland, Germany, England, France, Spain, Australia, and Japan, the closest to us is Switzerland, with a rate 45.7 guns per 100 residents. But while the Swiss own about half as many guns per capita as Americans, their death rate is less than one percent of the U.S. rate. Japan has the lowest percentage of gun ownership at 0.6% of the population. It is also at the bottom of the list on gun deaths – typically fewer than 10 a year. Some feel that violent video games spur violence, and the Japanese are known for playing those games, but it looks like that contributes little, if anything, to gun violence. So which country comes the closest to us with gun deaths? It’s Yemen, a Third World country home to the world’s second-largest gun-owning population. It also has the highest rate of mass shootings among countries with more than 10 million people. This war-torn, disease-ridden, poverty-stricken country on the brink of catastrophic famine, which the UN billed in 2017 as the world’s “number one humanitarian crisis,” is our closest competitor. Obviously, it‘s really sad that we are worse off than a country in dire straits like that. In 2016, about 59% of our gun deaths were suicides, and the rest were various types of homicides including accidental. What will surprise many is that our mass-shooting homicides by mentally disturbed people represent less than one percent of all yearly gun-related homicides. And the overall contribution of those with serious mental illness to violent crimes is only about three percent, and an even smaller amount of those involve firearms. So while these mass shootings are especially gut-wrenching because they often involve children, they are a small, small part of the overall gun problem. In most states, anyone as young as 18 can buy as many guns as desired, as well as any type of gun, including assault rifles or those with “bump stocks.” There’s hardly any need to worry about background checks (even if to determine criminal or mental issues), no requirements to store guns safely, no need for them to be “smart” to prevent accidents, and no need to worry about a “red flag” provision for taking them away if shooting a loved one is a known threat. 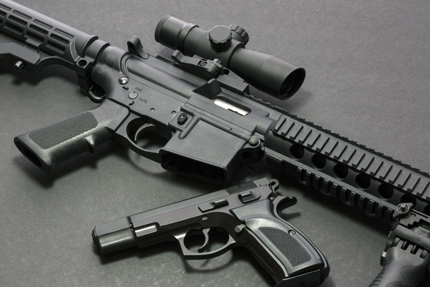 It’s easy to remove serial numbers to prevent law enforcement from tracing a weapon, and there’s no impact on the owner’s free time by having any training requirement like the military or police have. And there’s no need to get a license (unless you want to carry a handgun in public) or buy liability insurance. So where to start on the path to sanity? Even our pathetic statistics show that the states with more gun control have fewer deaths overall and fewer gun suicides, even though those laws are far from adequate or making a really meaningful dent in carnage. The unescapable reality is the more guns, the more deaths. And there will be no progress until the NRA’s influence is squelched. It has a stranglehold on preventing change with its flawed interpretation of the Second Amendment and spends millions to support its cause. Adding up all its financial outlays — candidate and party contributions (mostly Republican), independent expenditures, and lobbying – has come to a total of $203.2 million since 1998. And North Carolina’s two Republican senators, Richard Burr and Tom Tillis, are among the top three of our 535 Congressional members to benefit from NRA dollars.